Why Should I Bother Renewing My CPR Card if I Already Know the Basics? Maintaining your CPR Card is crucial in order to keep your standing with the American Red Cross and for staying current on your training, so you can give the best possible emergency CPR delivery when needed. Performing CPR without valid certification can leave you vulnerable to lawsuits or expose you to possible criminal charges, making it even more important to keep your CPR card and training up to date. 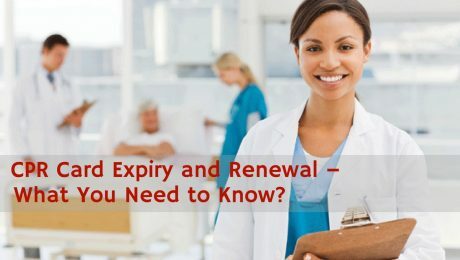 What Do I Need to Know About CPR Certificate Renewal? CPR Certificates can be obtained through local hospitals, your YMCA branch, and some local community health centers. Look for programs in your area or consider a recognized online certification for a more convenient option that you can complete at any time. Each training program may have different expiration dates for their CPR cards and your CPR re-certification needs depend on the date given by the course. Check your CPR card provided by the program for the date of expiration or contact the institution where your training was done to confirm the date if it is not listed on your card. Keep in mind that no matter what your training program specifies as the date of expiration the American Red Cross considers your CPR card invalid after one year from the date of training completion.